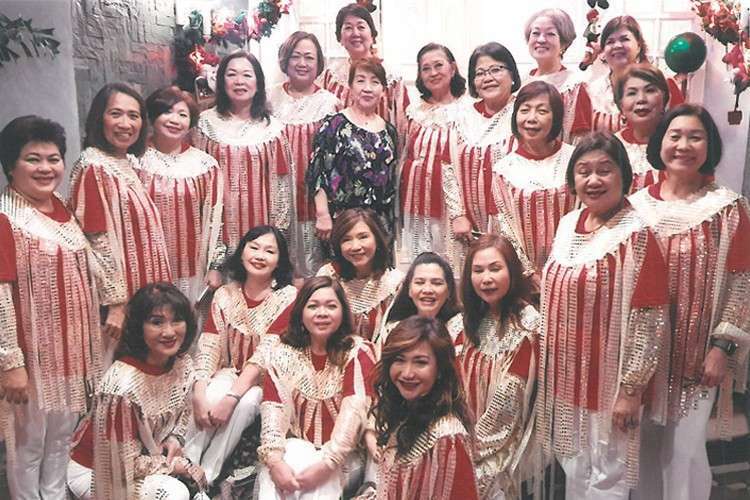 The scintillating Zontians In their official caroling getup, a capelet with cascading silver and white glitters, designed by Zontian Myrna Tan. Dinner. After a successful fund-raising event, Zontian Gie Dychangco hosted a thanksgiving dinner at her place. ‘Mamma Mia’ was the theme and here are the glamagals sprawled in their ABBA-inspired outfits! INDEED, after a grueling and back-breaking activity called: “Eighteen Days of Activism to End Violence against Women and Girls,” the Zontians of Cebu 2 needed a break. But before that, let us acknowledge the untiring efforts of the “Abay sa Kahayag” group of the Zonta Cebu 2, who, together with the supportive Mandaue City Government, pulled off such a gargantuan task! The 18 days consisted of various symposia, a pop art, painting and photography exhibit etc. depicting the various roles women play. Media exposure was indeed far-reaching and effective. The work didn’t end there. 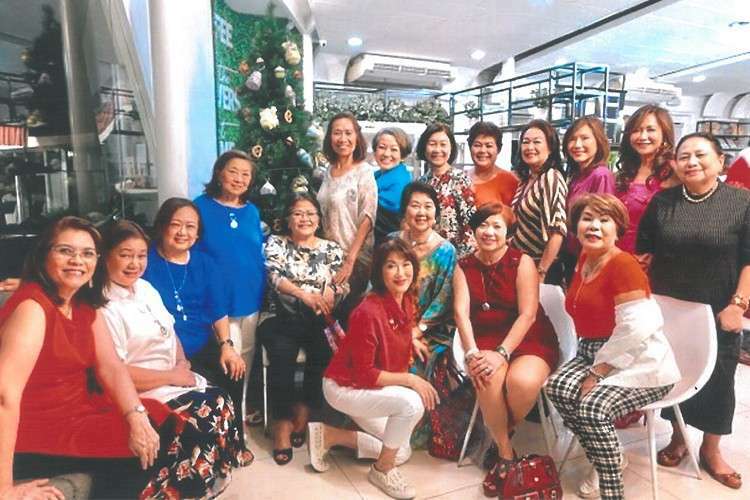 By December, the girls embarked on still another fund-raising event: “Caroling for a Cause” with Nonie Uy as chairperson and Wi Suan Tiu as musical director. With their elegant and arresting costumes, and heavenly voices, they surely raised a neat sum! Ah, they finally let their hair down at the “Mamma Mia”-themed Christmas party at the Cebu Country Club. With glamorous and articulate chairperson Betty Young as emcee, how can one not revel in camaraderie with fun, laughter, games, prizes etc. lined up? 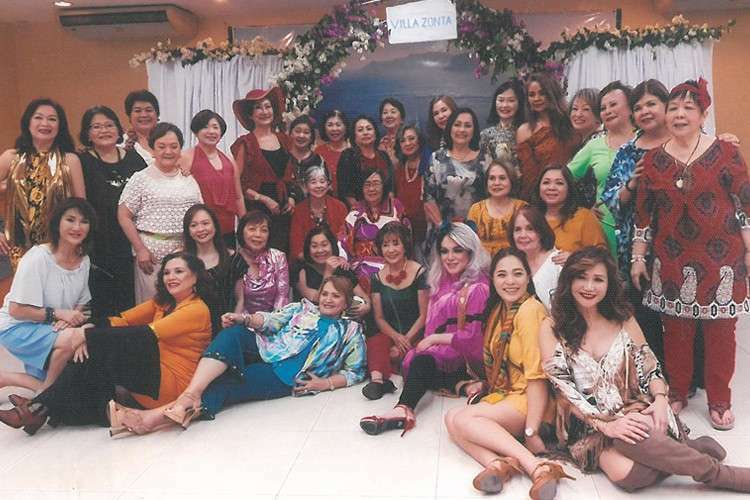 And with such a fashionable setting, there just had to be a “Best in Costume” award—a prize perennially won by wardrobe wizard and golden girl Myrna Tan, with the other winner being movie-starrish Regal Oliva. Hope you all had a heartwarming, head-turning happy New Year, toast!